Luisa Elena Alcalá is a tenured lecturer in the Department of History and Theory of Art at the Universidad Autónoma, in Madrid. She received her PhD from the Institute of Fine Arts. 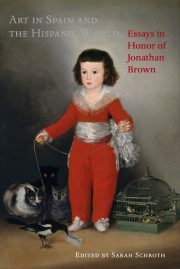 Her dissertation on The Jesuits and the Visual Arts in New Spain, 1670-1767 led to other studies such as the Fundaciones jusuíticas en Iberoamérica (2002), for which she served as editor and principal author. She has published extensively on religious imagery in colonial Latin America, Jesuits studies, and transatlantic networks and global circulation of art in the 18th century.